Linfox, Australia’s largest independent logistics company has more than doubled its fleet of Isuzu trucks in Malaysia to enhance the company’s delivery process. The company recently took delivery of four units of the medium-duty Isuzu FVR285 and four units of the light-duty Isuzu NQR75 to serve GCH Retail (M) Sdn Bhd, the company that operates Giant supermarkets and hypermarkets among others. The new trucks join the fleet of five units of FVR240 that the company acquired in 2013. Citing a good experience with Isuzu trucks, the company chose to add the new FVR285 and the latest NQR75 models to its existing fleet. According to Linfox Transport’s Country Manager Saj Iqbal, the positive experience with Isuzu trucks played a major role in the decision to add more Isuzu trucks to the fleet. “We refresh our fleet from time to time and as a priority, we look into quality equipment that is safe. Other areas such as state-of-the-art technology and products that will give economies to us and to our customers are important but ultimately, the trucks have to be safe for us and our drivers as well,” said Iqbal. 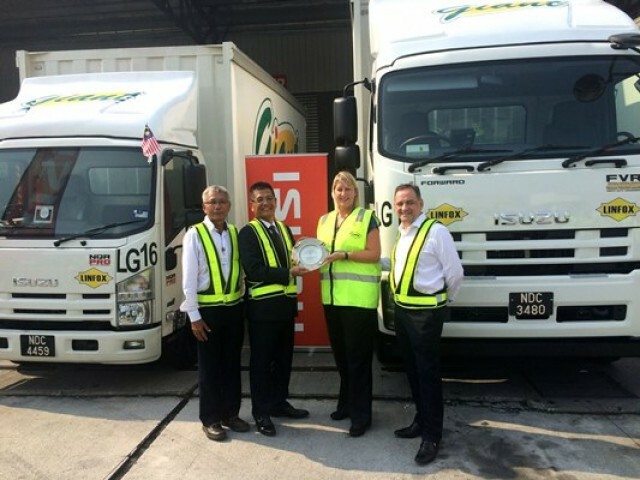 The trucks were officially handed over by CEO of Isuzu Malaysia Kenji Matsuoka to the CEO of Linfox Asia Ms Gabrielle Costigan. 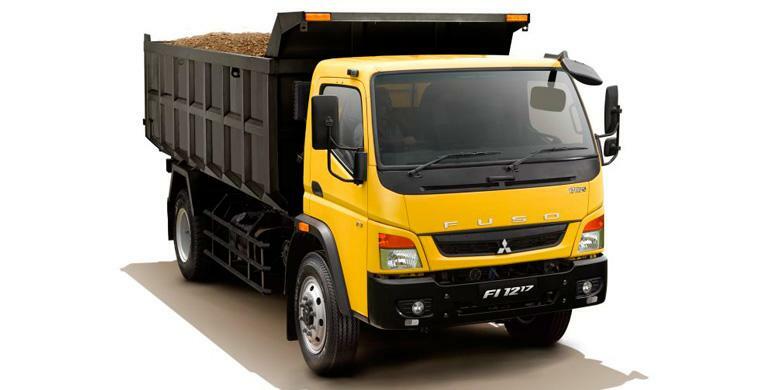 Mitsubishi Fuso Truck and Bus Corporation (MFTBC) launched five new models earlier this week, comprising three medium-duty trucks, (FI 1217C dump; FI 1217R cargo, and FJ 1523C ready mixed concrete) and two heavy-duty trucks (FJ 2528R cargo; and FZ 4928T tractor). According to the company, yhe trucks will come with customer service that includes a 2 year warranty and 24 hour roadside assistance. The newly-launched models are produced at Daimler’s manufacturing plant in Chennai, India, and exported from there to Thailand. In Thailand the trucks are sold and marketed by Fuso Truck Company Limited, a 100 per cent subsidiary of Tan Chong International Limited, which also assembles and distributes some FUSO models coming from Japan. 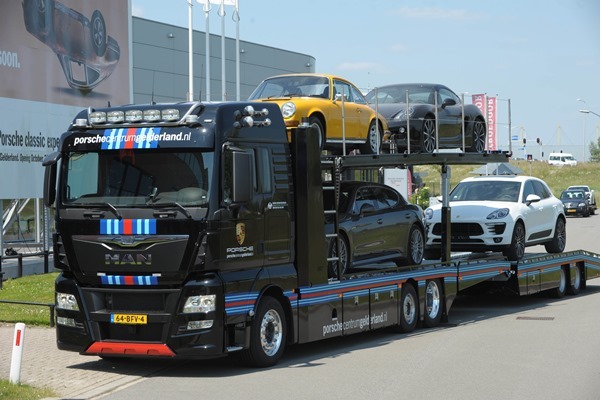 Porsche Centrum Gelderland, Netherlands has acquired a MAN TGX special transporter with a paintwork matching the colours of the legendary “Martini Racing Team”. The truck boasts the looks of the successful historic Porsche racing cars renowned as multiple winners of the 24-hour Le Mans races of the 1970s. 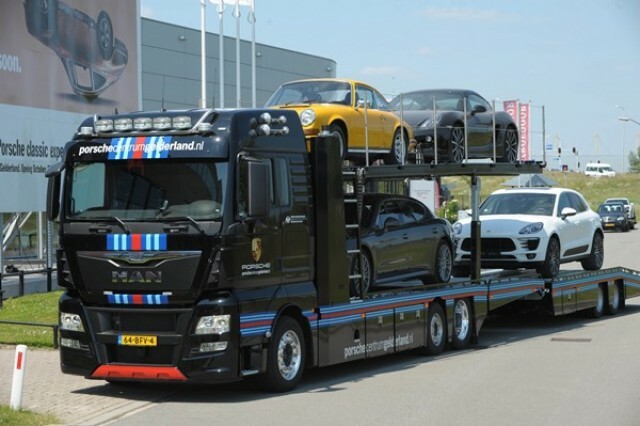 According to MAN, Porsche Centrum uses the 400 HP MAN TGX 6×2 to collect customer cars. Accordingly, the special transporter is equipped with special low-profile ramps and full air suspension allowing for fine adjustment of vehicle height. This enables even very low-built sports cars, historic Porsches or racing cars to be loaded on to the truck. The TGX and its trailer are equipped with guards all along the side, with large storage compartments to accommodate the materials needed for cargo securing. 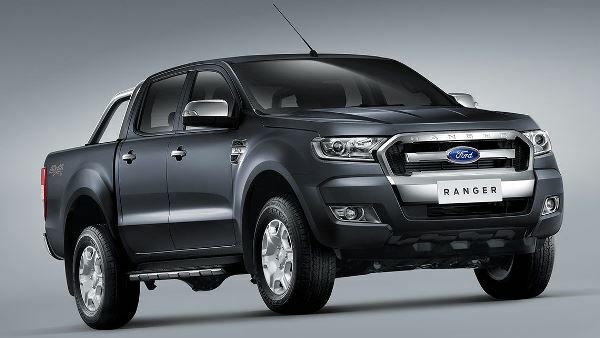 Ford has announced that it will assemble the Ranger pickup truck in Nigeria starting in the fourth quarter of 2015 as part of its expansion in Middle East and Africa. Nigeria will be the first African country outside of South Africa where Ford vehicles are produced. Ranger assembly will begin in Ikeja, in the Lagos State about 750 km southwest of Nigeria’s capital city Abuja. Ford is partnering with Ford dealer group Coscharis Motors Limited on the project. Ford will assemble the vehicles at a semi-knockdown level, using body parts and components imported from South Africa for the new Ranger. The new assembly plant in Ikeja will create approximately 180 jobs directly and indirectly, and has the capacity to assemble up to 5,000 units annually. Vehicles assembled at Ikeja are destined for sale in Nigeria only. In line with the operating procedures for Ford plants around the world, Ford will send experienced employees to Nigeria to assist with implementing the Global Ford Production System, which focuses on the highest standards for safety, quality and delivery. Daimler AG recently announced that it is preparing to export Mercedes-Benz luxury buses to markets in Africa and South East Asia from its plant in Chennai, India. According to Daimler, this will be the first time for Mercedes-Benz to export a high end product out of India. Having exported 150 bus chassis to Egypt already, Daimler AG is currently in the midst of negotiating with Indonesia and Africa. It is said that the company may begin export as soon as next year. Daimler’s bus manufacturing facility in Chennai currently has an initial capacity of 1500 units, which is expected to be expanded to 4000 units within the next few years. The plant manufactures buses with gross vehicle weight of 9, 16 and above 16 ton range, in both double and triple axles with front and rear engine configuration. The company is also expected to launch the buses in the domestic market in the third quarter of 2015. With these new range of buses, Daimler will cater to both private and government buys, which includes school buses, tourist buses and intercity coach buses accounting for 15,000 units per annum said the company. Calling it the second wave of growth in India, Daimler India Commercial Vehicle unveiled a range of trucks and buses – under Bharat Benz and Mercedes Benz brand and higher horsepower 31 tonner deep mining trucks and 49 tonner local heavy duty tractor. 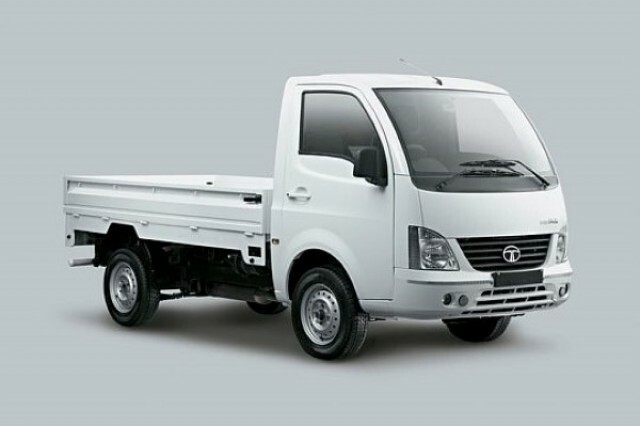 Tata Motors continued to witness strong year-on-year growth in certain key segments in July 2015, with passenger cars (excluding UV’s), M&HCV and exports, growing by 27 percent, 21 percent and 16 percent, respectively, with the total sale of Tata Motors passenger and commercial vehicles (including exports) at 40,154 vehicles in July 2015, growing by 1 percent over 39,629 vehicles sold in July 2014. The domestic sales of Tata commercial and passenger vehicles for July 2015 were at 35,076 vehicles, a decline of 1 percent over 35,266 vehicles sold in July 2014. Cumulative sales (including exports) for the fiscal at 1,56,664 vehicles, are higher by 5 percent over 1,49,633 vehicles, sold last year. As much as commercial vehicles are concerned, M&HCV sales continued to grow at 11,808 vehicles, higher by 21 percent, over July 2014. The light and small commercial vehicle (LCV) sales however continued to reflect industry decline and were at 12,879 vehicles, a decline of 21 percent over July 2014. These impacted the overall commercial vehicles sales for Tata Motors in the domestic market, which were at 24,687 vehicles in July 2015, a decline of 5 percent over July 2014. Cumulative sales of commercial vehicles in the domestic market for the fiscal were 96,038 vehicles, lower by 5 percent over last year. Cumulative LCV sales were 51,813 vehicles, a decline of 19 percent over last year, while M&HCV sales at 44,225 vehicles, were higher by 19 percent, over last year. The company’s sales from exports on the other hand, were 5,078 vehicles, in July 2015, higher by 16 percent compared to 4,363 vehicles in July 2014. The cumulative sales from exports for the fiscal at 18,588 vehicles, were higher by 27 percent, over 14,590 vehicles, sold last year.